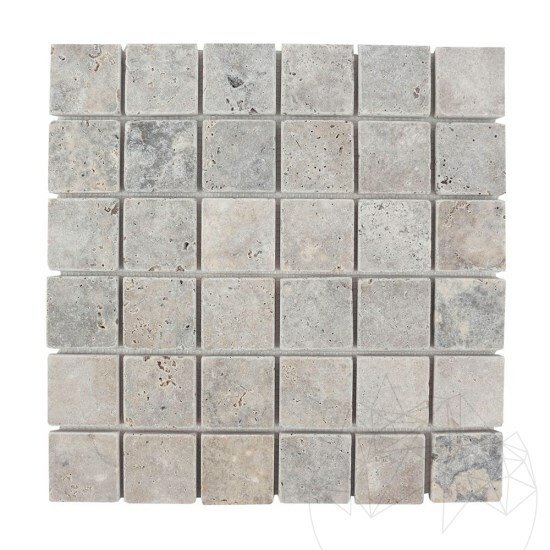 The superb silver and cream colors can now be part of your home with the help of this Mosaic made of tubled Silver travertine (size 4.8 x 4.8 cm). It's an ideal choice for interior or exterior arrangement works that are looking for a lot of variety and a vibrancy of colors. The mosaic net size is 30.5 x 30.5 cm. An absolutely gorgeous product available for immediate delivery! This material is well known for its durability. 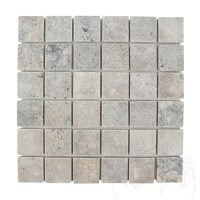 Also, the mosaic made of tumbled travertine has a natural aesthetic appearance. The installation process is quick and easily done. 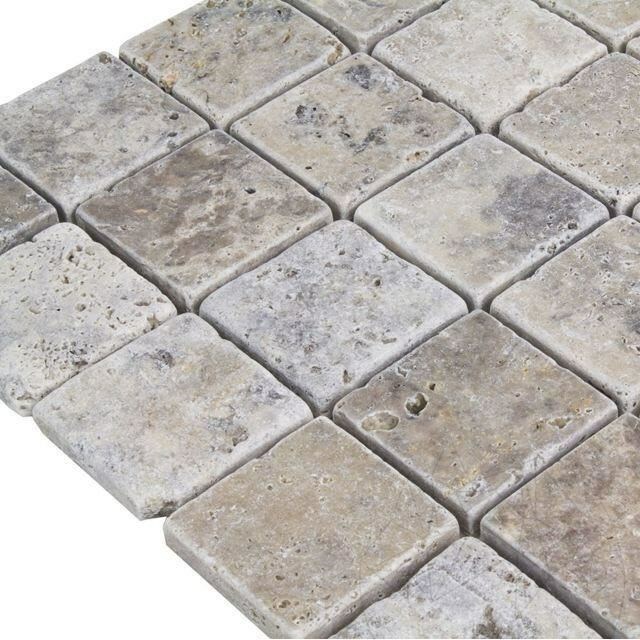 To maintain its vibrant colors it is recommended to treat the tiles with a sealant (LTP MattStone 1 L = 10 sqm). Usage: It is recommended for both indoor and outdoor claddings. 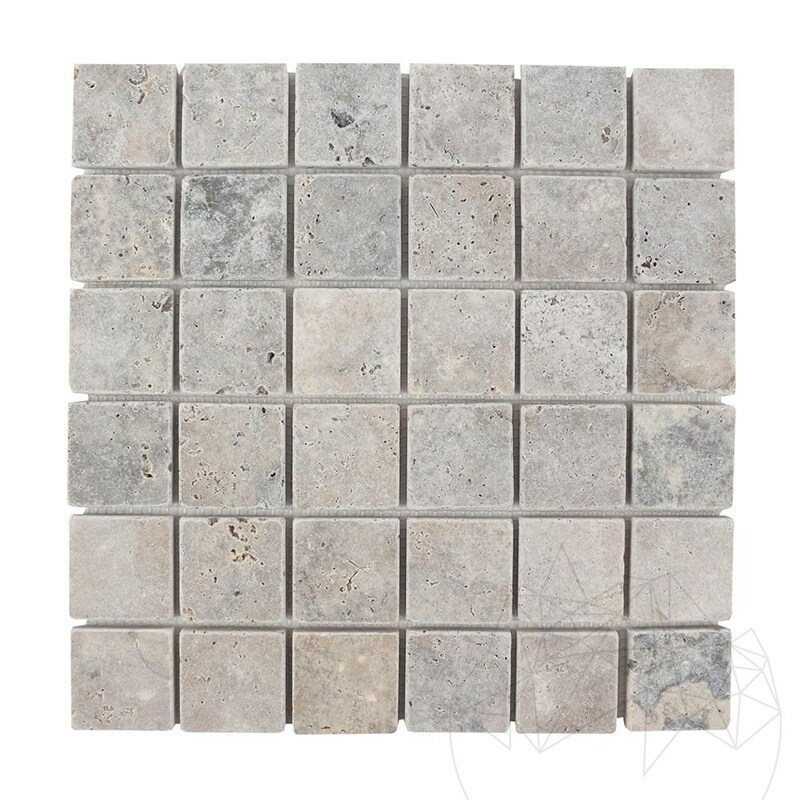 This splitface travertine represents an excellent choice for facades, fences, walls and home bases. Inside it can be installed as a backdrop for the TV or as library furniture, fireplace framing etc.